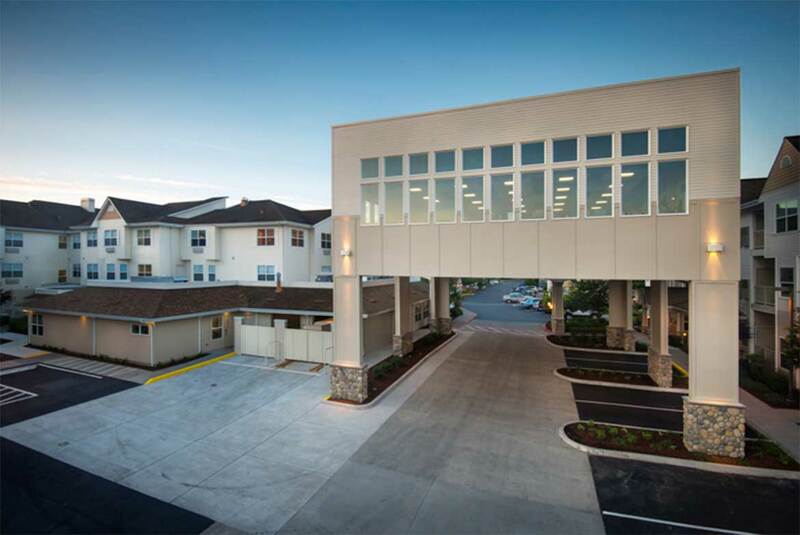 This three-part renovation of Vancouver’s Glenwood Place Senior Living included the addition of a three story assisted living wing, an extensive kitchen remodel + the addition of a “Sky Gym” Wellness Center. Overall, the project goal was to enhance the quality of life among existing and future residents. This was accomplished by expanding living areas in the new assisted living wing, fortifying meal service efficiency and flexibility through the kitchen remodel, and by elevating the wellness program and facility experience. The design objective for the assisted living wing was to fully integrate the new construction so that it gave the appearance of being part of the original building. In addition to the aesthetic challenges of marrying a new building with a 12 year old existing structure, we were tasked with combining the new wood construction with existing steel construction. The units also featured greater square footage than their counterparts on the opposite wing although the facility owners requested that the two wings mirrored each other exactly from the outside. 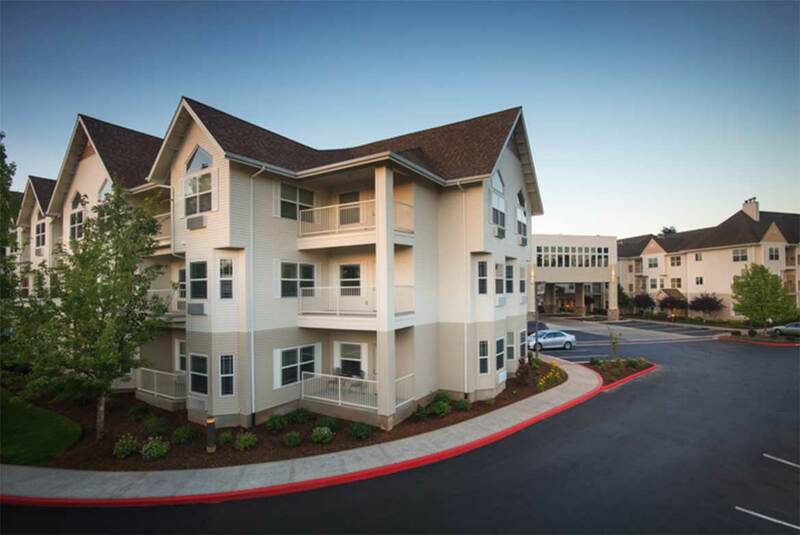 Great care was take to match paint, trim, carpet and even landscaping. Every detail of the design was accounted for in order to create a seamless transition from old to new. To address the structural challenge of marrying wood to steel construction, expansion joints were employed to accommodate the different oscillation points between the varying materials to allow for natural movement due to wind, seismic activity, etc. 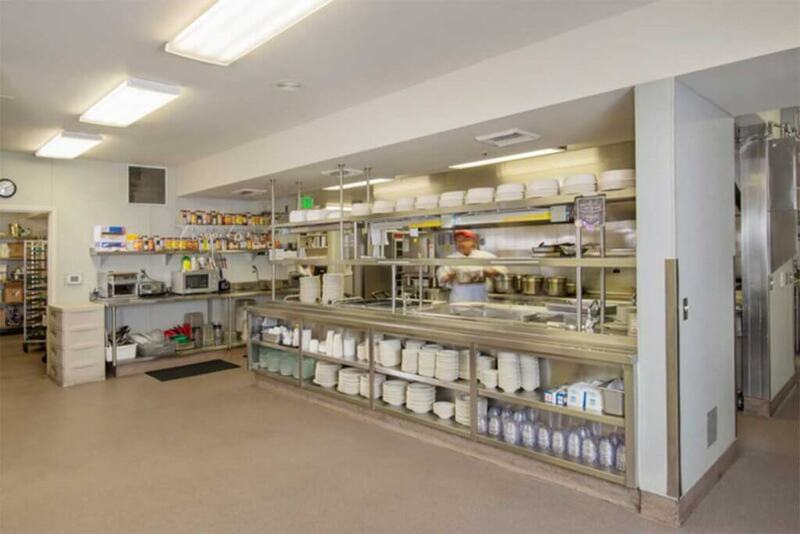 The kitchen remodel was born out of a need for greater service capacity, meal time flexibility and efficiency. 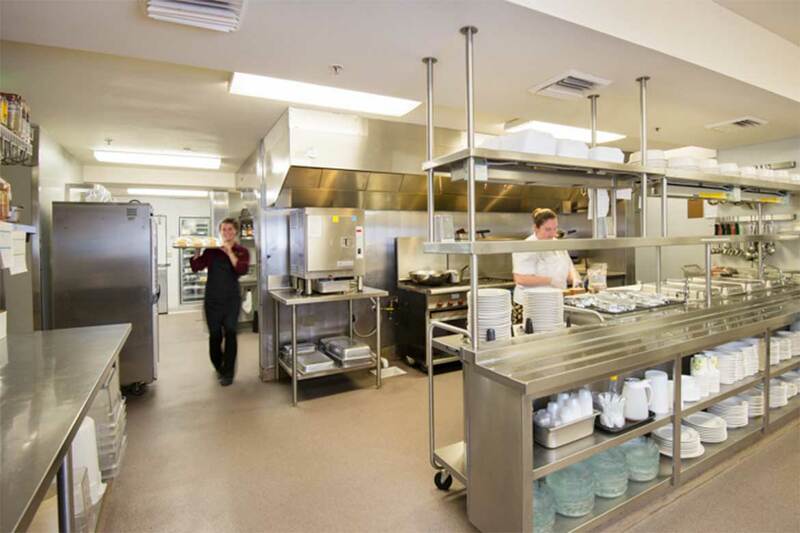 The remodeled kitchen serves the needs of the entire campus – up to 400 individuals after the addition of the new assisted living wing. Service capacity was addressed with increased space for dry, refrigerated and frozen storage as well as additional space for food prep. The additional square footage and food prep space increased productivity, enhanced food service flow, and enabled the facility to offer extended meal times. Ensuring downtime was kept to a minimum was of critical importance for the kitchen remodel. With a full permitting, design and engineering team under one roof, we were able to expedite the remodel process significantly and respond promptly to any issues that arose during the remodel. 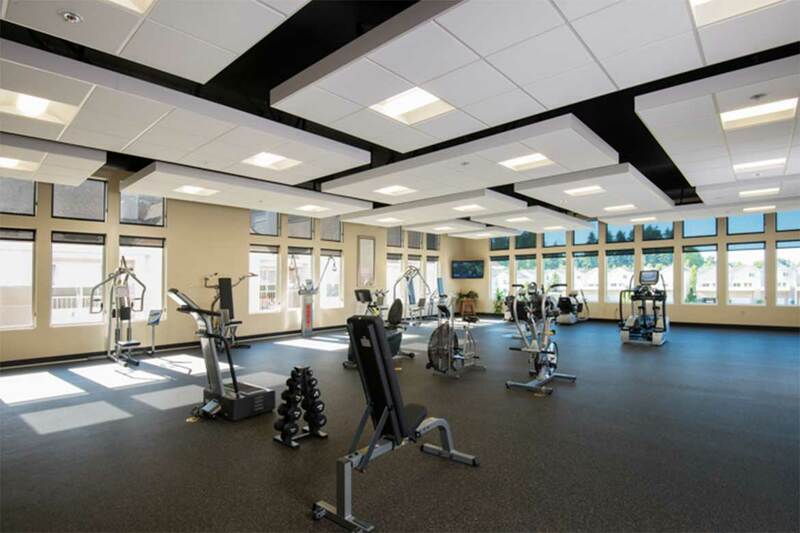 For the Wellness Center, space on the campus was very limited for new construction and necessitated an innovative and resourceful solution. 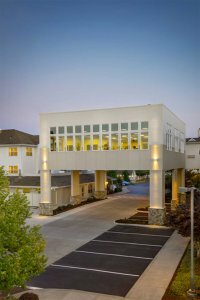 What started out as a seemingly whimsical idea to put the gym three stories up where a sky bridge currently stood, ultimately became the ideal solution to address serious space limitations. The Center sits atop concrete pillars three stories over a main campus entrance road. Its elevation coupled with large windows surrounding much of the facility creates a light, bright and energetic environment with a view of campus activity. The Wellness Center design incorporates an Armstrong cloud ceiling with exposed duct work between the ceiling and roof which was blacked out to create the illusion of a floating ceiling. In addition to creating an interesting visual–one that compliments the theme of being suspended in the air–the design also helps to minimize volume an echoes while creating a more pleasant atmosphere for exercise.